Trimming, pruning ,topping, elevation, dead wood, wind channel, and removal of any unwanted limbs. Those unwanted dying, dangerous, infected, infested, ugly or just getting old trees have to GO!!!!! Why should you get rid of that old stump? How deep should you grind the stump? 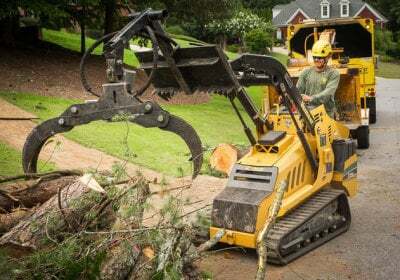 Or any other questions click here ​Stump Grinding. We have three different ways to remove trees and three differnt ways to price trees. 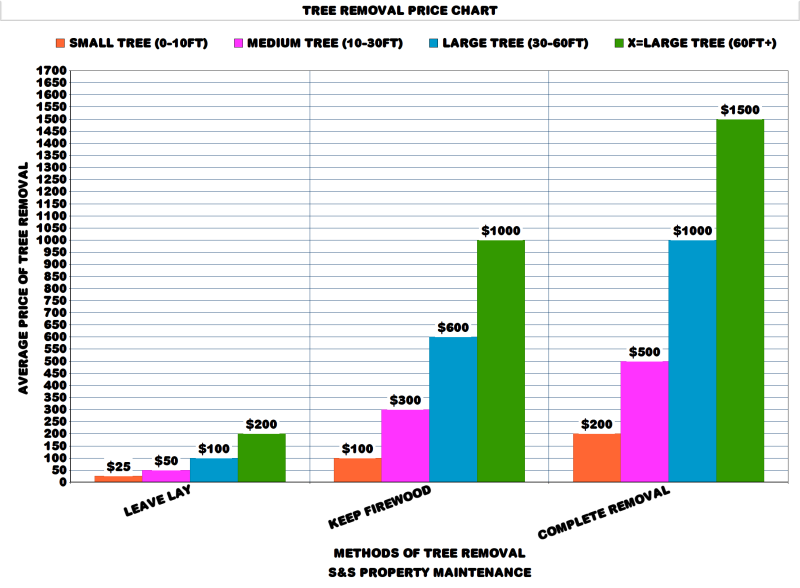 This easy to read Tree Removal Price Chart ​ tells you the average price to have your trees removed. Sick of looking at other tree service pages that dont tell you prices, Look no further.... Best way to price trees in the Ohio area. If you already have a estimate compare it to this price chart to see if we can save you money. ​Average price to remove a tree in Springfield, Dayton, Cincinnati, and Columbus Ohio. How we price tree removal and the three different options you have as a customer at S&S. Everybody has there on way to price trees, this is how we do it. Size= How tall and wide the tree is. Health=What condiction is the tree in good, fair, or poor. Location= Where is the tree located front yard, side yard, or the back yard. Hazards= Is the tree over or around any hazards like house, fence, or power lines. Method= Which way you want the tree to be removed leave lay, keep firewood, complete removal. Leave Lay​= This means we cut the tree to the ground and leave it lay and you have to clean it up. 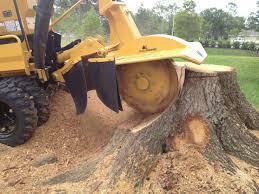 This is the cheapest option we offer for tree removal. Keep Firewood= This means that we cut down the tree and clean up all branches, brush and debris. Then cut the remaining tree into firewood lengths and stack it in a nice neat pile. This is the favorite method. Complete Removal= This means we remove all of the tree branches, brush, debris, and basewood. It will be chipped up and the rest hauled off, leaving your yard clean as possible. Hassel free method. © 2019 All Rights Reserved and owned by this company S&S Property Maintenance. Copying images, videos, or and other content will be unlawful and will be reported to the proper athority. We have three different methods to price ​tree trimming. ​How much does it cost to trim trees? This easy to read Tree Trimming Price Chart ​ will tell you the average price to trim, prune, top, elevate, and clean the wind channel of a tree. We take oue time to make sure your trees are trimmed the proper way. Remember trimming your trees make and keep them healthy. If you dont trim your trees they can easily turn into liabilities. 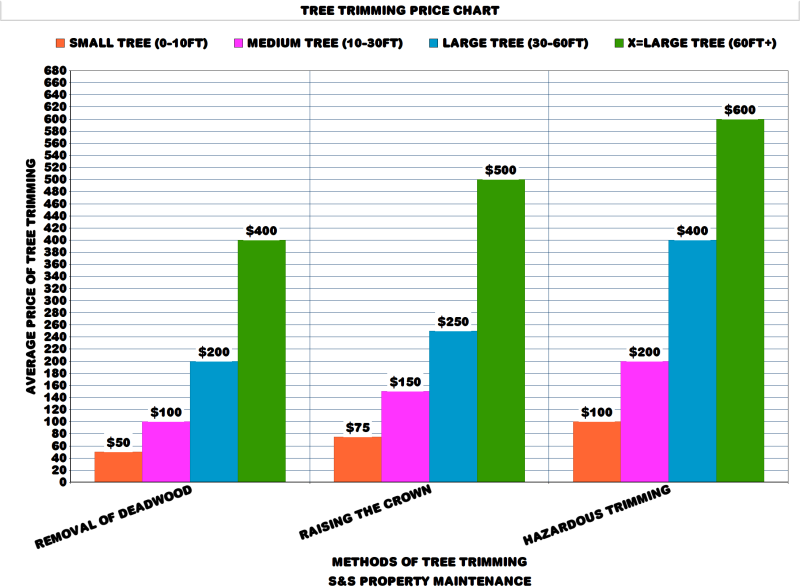 ​Average price to trim a tree in Springfield, Dayton, Cincinnati, and Columbus Ohio. Removal of Deadwood= We remove any dead limbs in the tree. This insures that the sap is running to the healthy parts keeeping them strong and safe. Small tree(0-10ft)=$ 50-100, Medium tree(10-30ft)= $75-150, Large tree(30-60ft)= $100-200, XLarge tree(60ft and up)= $150-300 and up. Bulk pricing available. This does not included hazardous tree trimming. 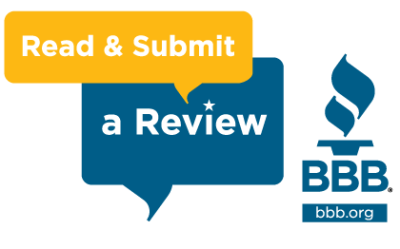 All prices are subject to change, final price will be discussed at the free estimate. Raising the Crown= Removal of lower limbs to desired height. Also know as elevation. Gives the tree shape and can help with that wanted crub appeal. It also allows sunlight to hit grass undernieght the tree, keeps the tree and yard healthy. Small tree(0-10ft)= $50-150, Medium tree(10-30ft)= $100-200, Large tree(30-60ft)= $150-350, XLarge tree(60ft and up)= $200-550 and up. Bulk pricing available. This does not include hazardous tree trimming. All prices are subject to change, final prices will be discussed at the free estimate. Hazardous Tree Trimming= This is the removal of branches over the house, power lines, utility lines, playgrounds, driveways, other trees, flower beds, ect... This helps keep your property and family safe and hazard free. Small tree(0-10ft)= $75-200, Medium tree(10-30ft)= $125-250, Large tree(30-60ft)= $175-500, XLarge(60ft and up)= $225-600 and up. Bulk pricing available. All prices are subject to change, final prices will be discussed at the free estimates.